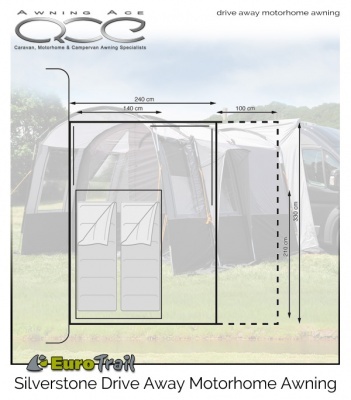 The front entrance wall has a large access door which can easily be rolled to the side, and a very large half window panel making for superb views. 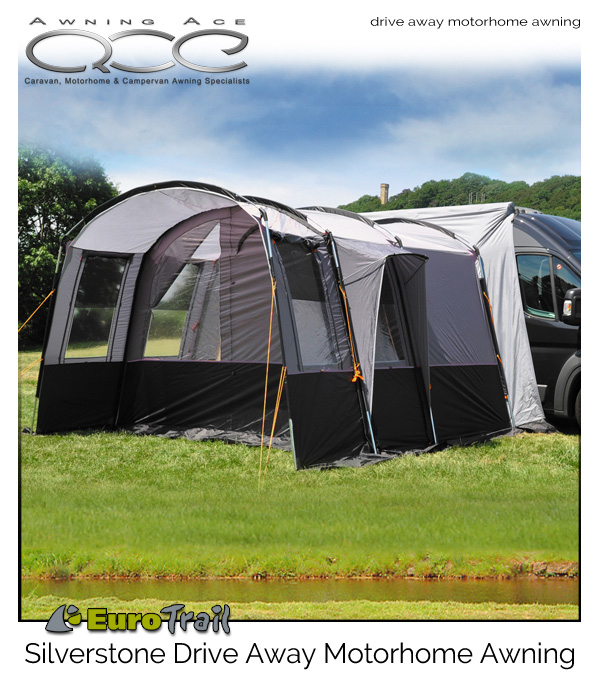 The window has an internal privacy blind which can be rolled back or closed for privacy or shade when required. 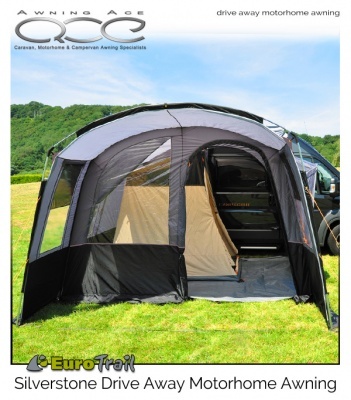 The front sun canopy provides an extra large covered seating area on sunny days and wet weather protection when the weather isn't so good. it's the perfect place to take off your wet weather gear and walking boots and ensures the awnings living area remains protected whatever the conditions. 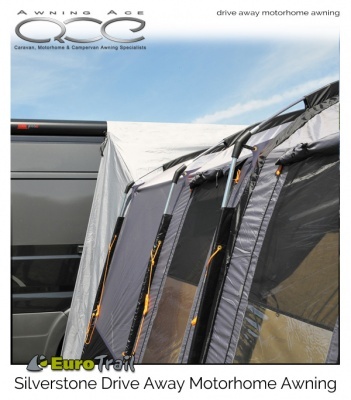 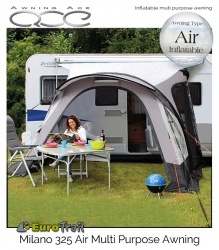 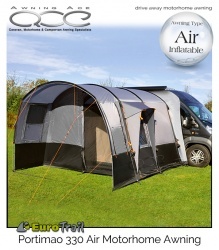 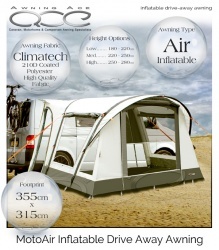 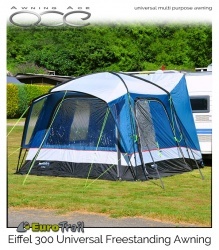 The entire front canopy can be zipped off when not required or if pitching space is an issue. 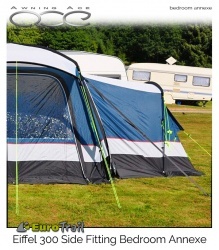 To fit awning rail/connection heights: up to 260cm.